With a hint of snow in the air a desire to cook and create delicious meals was stirring within me. A craving for something sweet and healthy consumed my thoughts. I also knew if I did not give in to the urge and begin mixing ingredients that I would reach for something that I shouldn’t to satisfy my desires. Even though I am a clean eating activist the pantry always holds a sweet treat for one or more of our five grandchildren, and my husband who loves to indulge occasionally in a sweet dessert. I admit just knowing the sweet treats are in the pantry sometimes stirs a craving. Yes, the battle with sweets is real, even after all these years. I have learned to fight fire with fire. When the cravings begin to lurk in the crevices of my mind I counter attack them with one of the many healthy sweet treats that do not leave me with an overwhelming sense of guilt, bloating, and discouragement. Instead, after indulging in a healthy treat I feel satisfied, full, and sense of pride feels my being for winning the small battle with sweet treats. Yes! I defeated and quieted the voices that call out…feed me, feed me! Again, the battle between myself and indulging in sweet treats is real! Quickly I scoured the pantry for ingredients. I discovered that I had week old apples that I could use, or otherwise they would be prepared in protein waffles or a smoothie. I had organic reduced sugar dried cranberries hmm…yes, I had the fruit and the makings for a sweet baked treat. Now I needed to create this unknown sweet dish! The decision was made. I would have some delicious clean fruit muffins to enjoy with a midday cup of coffee. Mix dry ingredients and then add wet ingredients one at a time. Mix dry ingredients incorporating one ingredient at a time. Begin adding wet ingredients one at a time. Do not over mix as this will take away from the texture of the muffins. Fold in fruit as the last ingredients. Pre-heat oven to 350 degrees and spray a muffin tin with cooking spray. I prefer olive oil spray. Scoop mixture with an ice cream scoop into the tin and drizzle lightly with honey. Bake until a wooden toothpick comes out clean. Baking time will vary with different ovens. I bake in a convection oven and my muffins were ready to remove in fifteen minutes. I was excited as the aroma of the muffins filled the house. I quickly brewed a pot of coffee to enjoy with a muffin, or two. Delicious is an understatement! These muffins rocked! They were not too sweet, but delicious, moist, and very satisfying. I decided to put them to the test and allow our daughter and son in-law to be the critics. Both of them gave them a thumbs up and a rating of ten out of ten! They were a hit with everyone. I hope you and your family enjoy my clean apple cranberry muffins as muffins as much me and my family did. Feel free to leave comments or feed back as it is always welcomed. If you enjoyed this recipe I can’t wait for you try out my new clean luscious brownie recipe or my clean sweet potato casserole that I will be posting soon. So for now wishing you and your family a blessed week from the mountains of Kentucky! A delicious sweet treat that tastes great any time of the day! Good morning from the mountains of Kentucky! The day that thousands of children have awaited for months to arrive…has finally arrived…it’s Christmas Eve! With our children now married and spending quality time with their families today, I find myself busy this morning baking and preparing for tomorrow’s much awaited family Christmas dinner/breakfast. A few years ago we started a new tradition of breakfast for Christmas. It’s a delicious change from the traditional turkey and dressing. Although, we still prepare a turkey and dressing for those who like to indulge in the traditional Christmas dinner there’s plenty of delicious breakfast items on the menu as well. Our Nativity Scene that adorns our mantle every year. With the aroma of cornbread baking in the oven, banana bread cooling on the cooking rack, light rain tapping on the roof, and the tree brightly lit…I find myself recalling our family Christmas traditions from years gone by. I recall how much we loved watching the much awaited Christmas cartoons each year. When I was growing up cartoons were not as convenient as they are today. Saturday was considered cartoon day! Cartoon channels didn’t exist at that time, at least not in the mountains. The Internet was obsolete, and only seven channels graced our black and white television, while four of those channels were not always available. Much of the television reception depended on the line that protruded from our television and made its way up the mountain. If a branch fell on the line or the wind blew the cable over…it meant little to no television reception. So, with excitement in our eyes and voices we would gather around the small television hoping for a clear picture while indulging in a pan of homemade caramel corn ready to watch Rudolph, Frosty the Snowman, and many other wonderful cartoons that are now referred to as classics. These were simple times, but very happy times. Cornbread baking for the dressing and clean banana bread for a sweet treat. While I bake I am enjoying one of my favorite childhood cartoons! Bedtime came early for my brother, sister and myself. Even though we retired early sleep didn’t come easy for us. We were far too excited to sleep thinking about the gifts under the tree. We had high hopes of receiving that one toy that we had dreamed of for weeks. The toy that we circled countless times in the Sears Wish Book. The toy that our mother worked hard to make sure she could afford for us. We knew that we could always depend on a couple new outfits of stylish clothing, and that one desired gift that we had dreamed all year about. When sleep finally arrived it felt like we had only been asleep for a short time when one or the other of us was waking the rest, and urging each other to get up with shouts that it was time to open our presents! While still in our pajamas we would eagerly run to the tree where mommy would be awaiting us with her coffee in hand. As a child, I often wondered if she ever slept. It seemed that no matter what time we woke up for whatever reason she was already awake and either sewing, humming, drinking coffee, or all of the above. These were wonderful simple days that have come and gone. All too often these cherished simple times are now replaced with glitzy glamorous thematically decorated trees, elaborate gifts, stress from shopping, and often times lack of appreciation. My heart aches as I recall the days of my youth, family times, simple days, and our family traditions. These memories help me to strive and work hard to keep them alive in our family year after year while we continue to build new memories. The simple family traditions that I grew up with have been revised with many new traditions. The wonderful traditions that I grew up with haven’t been forgotten. I reflect on them often. Over the course of thirty-seven years our family has created many new memories, traditions, recipes and more that will be passed down to our grandchildren. These are years that I will never forget sharing with our children, and now with our grandchildren. Even though time marches on…we can still indulge and enjoy delving into our memories and into own Christmas traditions each year. So, this morning finds me a bit saddened by the sweet memories of the past…but anticipating and excited for the new memories to be made this weekend! I would love to hear from you and hear all about your family traditions. Just a few thoughts from the mountains of Kentucky this blessed Christmas Eve. Merry Christmas from our family to yours! Good morning from the mountains of Kentucky. It’s a cold and clear morning in the heart of the Appalachia Mountains. As I enjoy the warmth of my home, hot coffee, and a sense of satisfaction knowing that my Christmas shopping is finished, presents are wrapped, the turkey and ham are in the fridge, and ingredients for Christmas candy and cookies fill the pantry. However, a little twinge of sadness fills my being this morning as I browse the many cherished ornaments that grace our tree given to us by our children, grandchildren, students, and friends. I find myself missing days gone by. I miss reading the letters to Santa each year that our children would carefully plan, write with excitement, filled with anticipation, and above all their honest and sincerity. I miss baking cookies to leave beside tree, and miss eating them as well. I especially miss the sounds of our children rising before daylight eager to open gifts. There was no other feeling quite like watching the excitement in their faces as they stood before the tree admiring all the presents and a full stocking that had somehow magically appeared during the night. I say that to say this, cherish each day that you are given. As we all know, time is one thing that we cannot get back. However, I was reminded yesterday that we can enjoy and cherish past memories time and time again, and that we can also enjoy making new memories each and every day. Just because we cannot turn back time and relive those wonderful days gone by…we can envelop the present and create a new and lasting memory each and every day. A locally owned gift shop filled with wonderful gifts and warm smiles. I love to reflect on the days of shopping in our small town. The streets were always lit up and busy, the store windows were decorated with beautiful Christmas scenery, and people were bustling about looking for that special gift for that special someone. Smiles adorned the people’s faces as they shopped and greeted each other with Christmas sentiments. It was a more personable time. Neighbors knew each other and above all cared about each other. The fear of a catastrophe happening in a crowded area never entered the minds of the happy shoppers. The true reason and meaning of Christmas was evident in the decor that filled the little shops windows. There was an excitement in the air…not the dread of overspending, finding the best or newest tablet or smart phone for children too young to even own a phone. The competitive spirit that seems to fill far too many today was not evident in this simpler time. A level of mutual respect was obvious between parents and children. Yes, it sounds like a scene from a Christmas movie, but it was actually a selfless place and a time that I grew up enjoying. However, it is also a time that I have sadly witnessed slowly dissipating and evolving into a totally different time. The Makery…A locally owned shop filled with handmade gifts, warm smiles, and unique items as well as Christmas cheer. Have you ever experienced dejavu? It is often defined as an overwhelming sense of familiarity. I think we’ve all had this experience at one time or another and to be quite honest, it’s can be a little creepy when it happens. However, yesterday I found myself enjoying the moments of familiarity and was pleasantly reminded of the wonderful days of shopping in a small town. Happily Ever After Boutique…another locally owned shop filled with beautiful gifts, clothes, and friendly faces. My daughter and I decided to finish the last of our Christmas shopping yesterday. Like most people, we automatically drove to the local department store. The parking lot was crowded, the isles were even more crowded, the merchandise was in a disarray and picked over, people were rushing, complaining, and scampering to finish what appeared to be a dreaded chore. We left the store with a few items and a bit discouraged as we were still in need of a couple of gifts that we couldn’t find in the chaotic and crowded store. We decided to turn our search in the direction of local shops. I must admit that I often forget about these wonderfully local owned shops as they are not in “the shopping” center. It was a wonderful feeling to be met with a warm and sincere greeting from the shop owner in each store. It was nice to be asked if they could help us find what we were in search of. Christmas music filled the buildings as did Christmas decorations that weren’t as elaborate but were more sincere. It was sense of family, friends, neighbors, and a nostalgic feeling. With each purchase I was reminded that we cannot truly turn back time…but we can create new memories that are truly meaningful while also supporting locally owned small businesses. No, it wasn’t exactly like the days gone by, but it was a day of shopping in beautiful small shops that will be a new cherished memory to reflect on in days to come as well as a new Christmas tradition. Just a few nostalgic thoughts from mountains of Kentucky this beautiful December morning. The Axis…a locally owned coffee shop is a great place to get a delicious cup coffee and sweet treat or a bite of lunch with friends. A locally owned small business filled with wonderful gift ideas. A locally owned shop where you are greeted with a warm smile and can receive a great message. But first, a little about me and my coffee addiction. I have loved coffee since I was a little girl. Some of my earliest memories are of me spending the day with my mother while my brother and sister were at school. I remember sitting in the kitchen while she cooked, washed dishes, sewed, or whatever the task at hand was. No matter what she was doing she always had a cup of black coffee nearby. I also remember sipping her coffee after it cooled. I loved black coffee even at a very young age! One of my favorite mugs! Over time coffee has changed in many ways. It’s not just perked as it was when I was growing up. Now you can perk, boil, or drip it! You can have it brewed in large quantities, or one cup at a time. There’s hot coffee, cold coffee, and iced coffee. We can select from a wide variety of flavors, brands, and roasts. There’s whole-bean, freshly ground, and all ready ground. We can buy coffee cakes, coffee chewing gum, coffee candy, cappuccino, espresso, frappuccino, lattes, and more! There’s even organic coffee. The coffee craze is sweeping the nation, and I for one am thrilled! 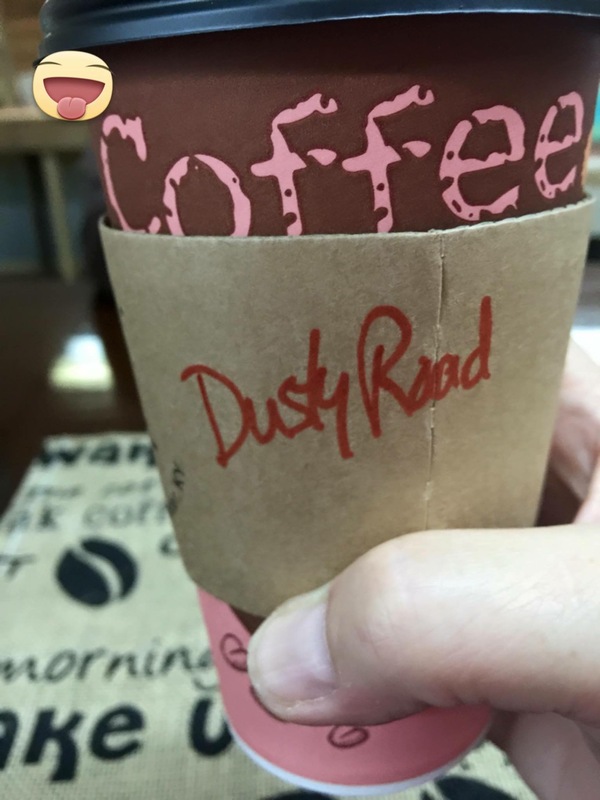 A favorite flavor from our local coffee shop, The Axis! So, for this week I would like to recommend one of my favorite organic coffees. 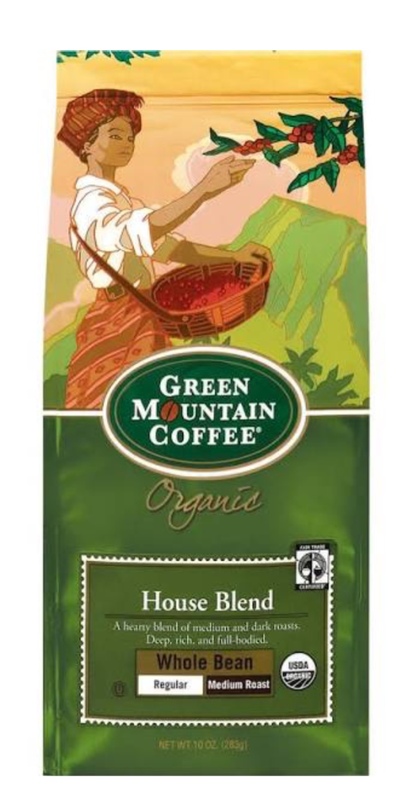 I have found Green Mountain House Blend Organic Coffee to be delicious and satisfying. It’s great prepared in a Keurig, dripped, or perked. I especially like buying the whole-bean and grinding just enough for either one pot, or one serving at a time. The aroma while brewing is sensational! 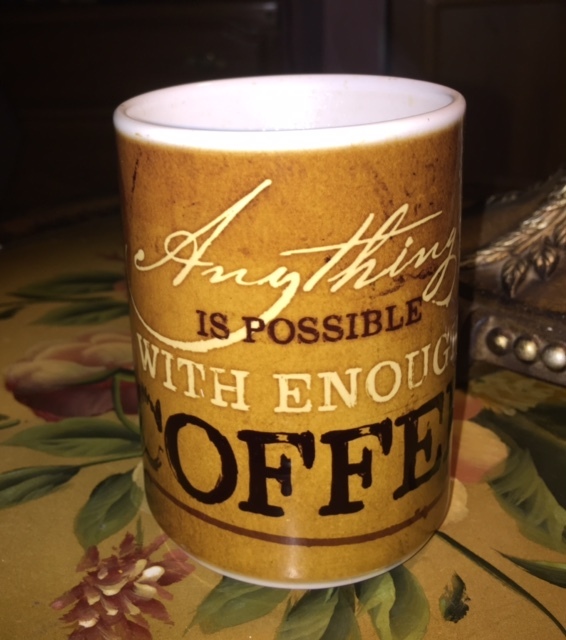 This is great coffee with breakfast, as an evening cup, with a sweet treat, or with a meal! It can be ordered online from Amazon for a very reasonable price, and can be found in most super markets. I have tried several organic coffees, but have found myself returning to Green Mountain Coffee again, and again. Coffee was once a breakfast staple in most households. Today, coffee time is any time! 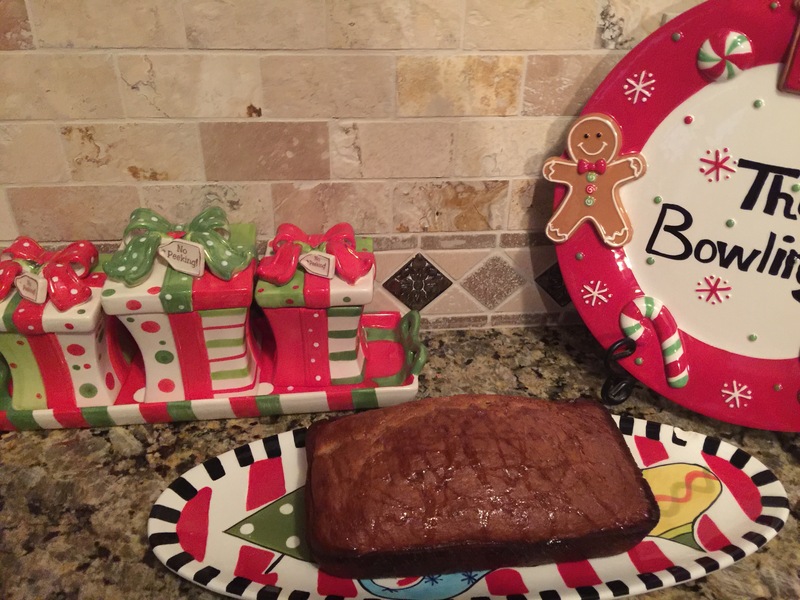 Be sure to check out my post Clean Apple Ginger Bread for a delicious bread that goes great with a hot fresh cup of coffee! Feel free to leave your comments after trying this delicious coffee, and my sweet and moist apple ginger bread.